Ēdama lapiņsēne. Jānovāra un ūdens jāizlej. 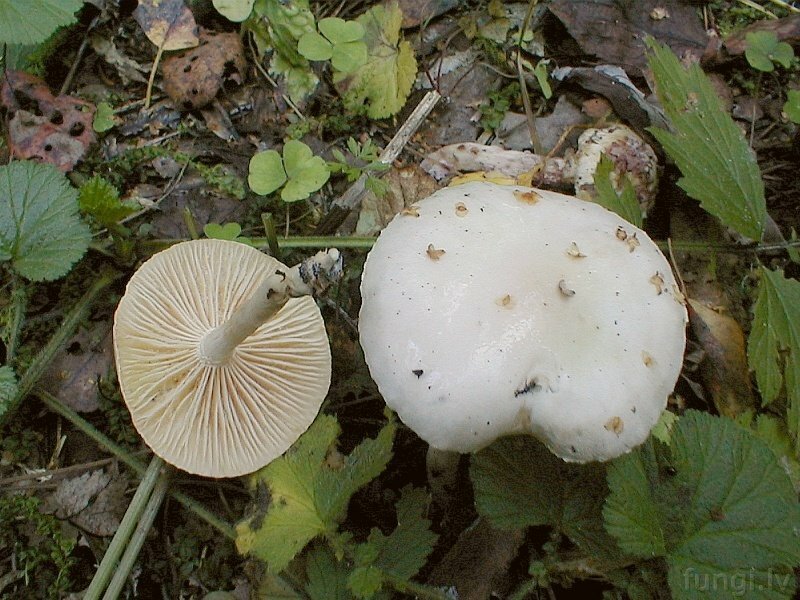 The size of this mushroom can range from 2 to 8 cm in diameter. Spore powder is white. It grows in deciduous forests from August to October. It is rather common in Latvia. Edible when boiled.